Did you know that minerals like magnesium aid with stress response from exercise and speed recovery? In a double-blind randomized study1 carried out by Gulf, Bender and Gruttner (from Institute of Clinical Chemistry and Pathobiochemistry, University Medical School, Justus-Liebig-University, Giessen, Germany), 23 competitive triathletes competing in an event consisting of a 500-meter swim, a 20-km bicycle race, and a 5-km run were studied after 4-week supplementation with placebo or magnesium. The stress-induced modifications of energy and hormone metabolism described in this study indicate altered glucose utilization after Mg- supplementation and a reduced stress response without affecting competitive potential. Magnesium supplementation reduced the stress response in the body for these athletes. 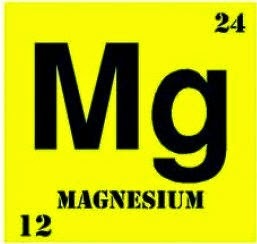 Magnesium is also depleted during strenuous activity and increases the need for magnesium in athletes by 10-20%. Magnesium deficiency reduces the efficiency of the body to perform work, and increases the amount of oxygen needed. This hinders athletic performance. If you are looking to minimize the stress on your body associated with strenuous exercise, as well as increase your personal performance, consider using a quality magnesium supplement from Natural Healing Tools!